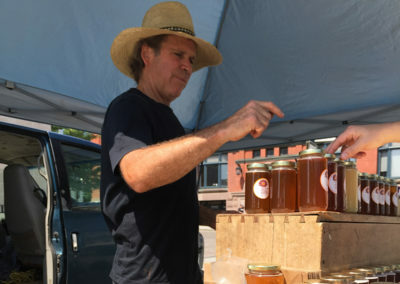 Gonzalo Wilson, owner and operator of the family business, Wilson Apiaries which has been running since 1984. 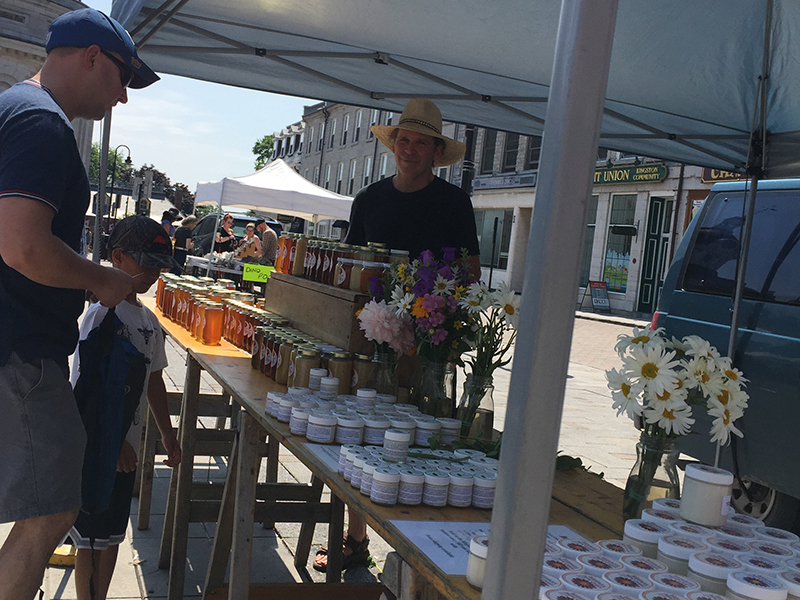 Gonzalo is known to be quite the honey connoisseur as he explains a bit about the different types of honey he produces, “Different flowers give different nectars, and they darken over time.” Wilson is explaining the wide variety of honey and honeycomb that he offers three days a week in The Kingston Public Market. 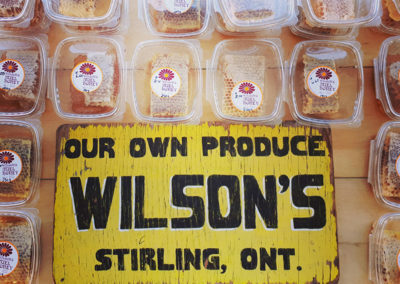 Wilson operates a honeybee farm with more than two hundred bee colonies. That’s more than six million bees. Does he get stung? “Not very often,” Wilson laughs. 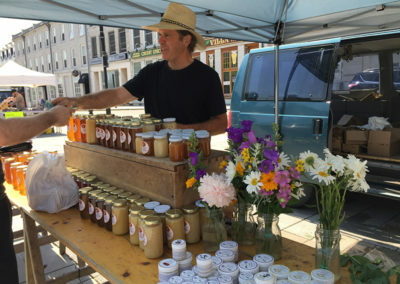 His colonies produce their honey from naturally occurring wildflowers in the Stirling area. 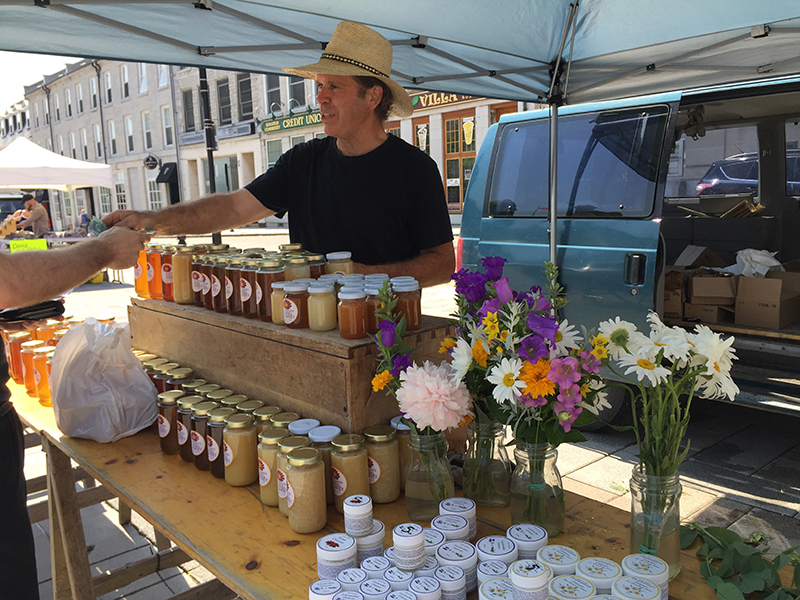 As it is a family business, he has his daughters help him with tending the flowers. His daughter’s beau, Mitchell Vanvulkenburg, lends a hand with harvesting the honey and producing artisanal hand creams. 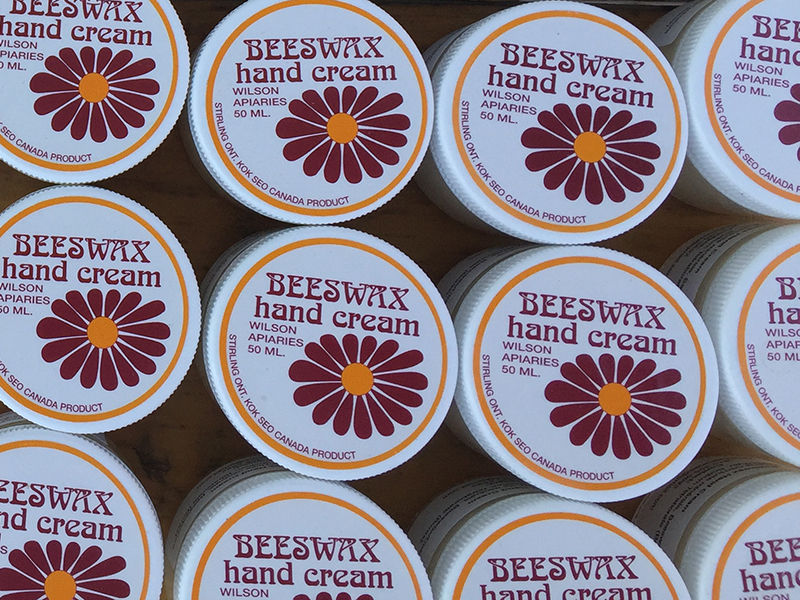 The hand creams, which are new to the operation, include scents such as chamomile and lavender. 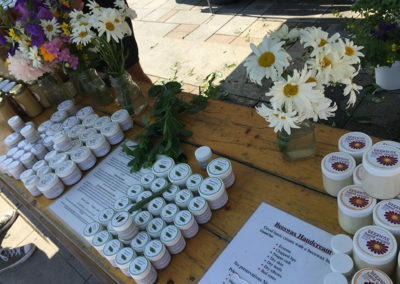 The Wilsons also carry a beeswax cream that treats a variety of skin ailments. 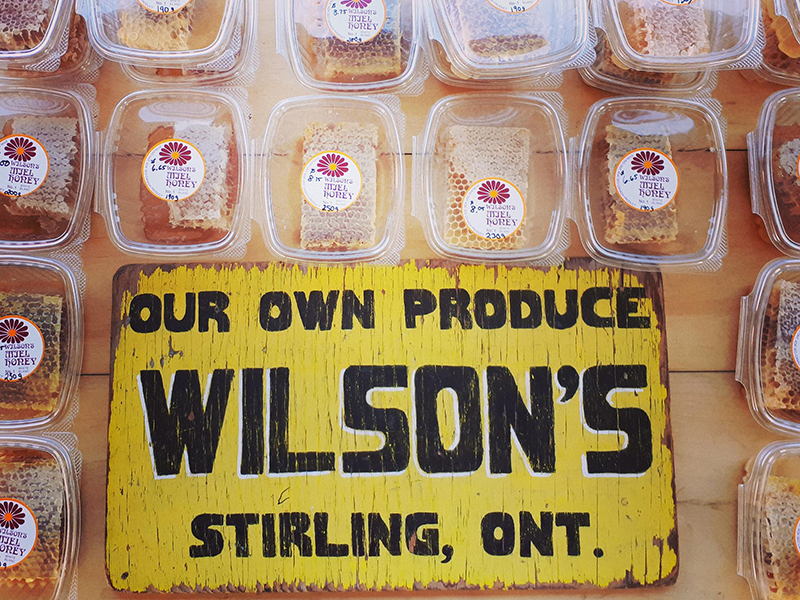 You can visit Wilson Apiaries at The Kingston Public Market on Thursdays, Saturdays, and Sundays. 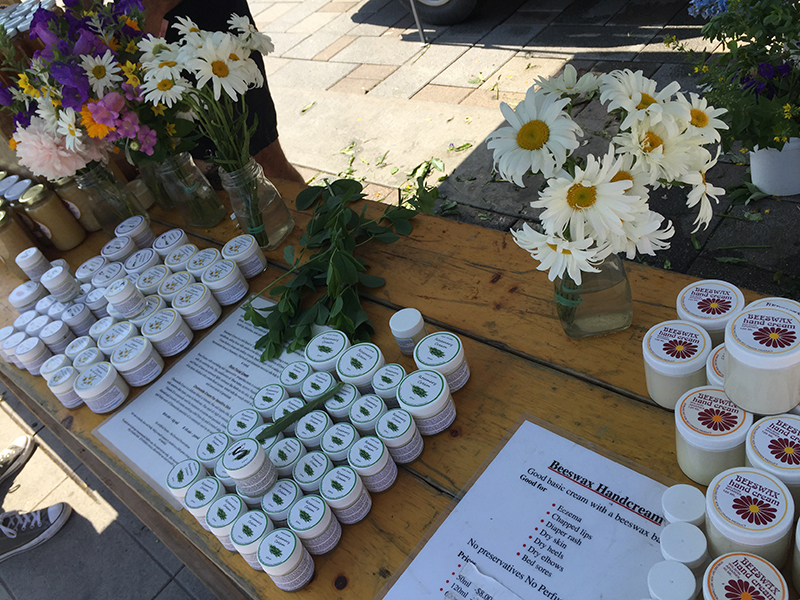 In addition to honey and honeycomb, they sell fresh cut flowers and fresh herbs. 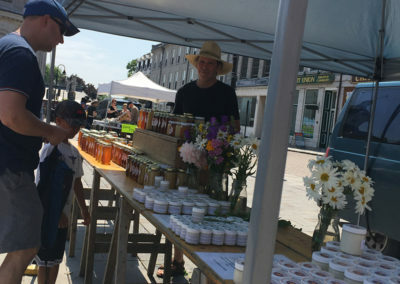 They are located at the far west edge of the Square, beside Market Street. 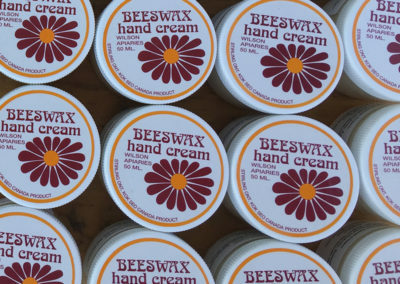 Honey, honeycomb, fresh cut flowers, herbs, naturally scented beeswax creams.